How to get there: leave main station Bern by the “Welle“, Bus stop on your right, Nr 101 bus, get off at Güterbahnhof and you can see the building. The 5 founders of this “maison de rencontres interculturelles“ took things step by step, on a non-professional volunteer basis and without adhering to any theoretical intercultural concepts. what are the factors that made and continue to make La Red such a popular long-term project for all concerned? what are the insights and experiences of the founders in creating and developing the civil society initiative La Red? the possible role of intercultural training in a context of grass-root work and civil society initiatives. * La Red was awarded with the “Prix du Social de l’Etat de Fribourg 2017“. This session is designed for trainers, coaches, or anyone working in the field of support to migrants. It is of course open to any Migrant or Refugee interested in attending this session. SIETAR Switzerland has identified Migration as a key topic. Migration was the theme of a half day workshop at SIETAR Switzerland’s 2018 Congress and will also be one of the major tracks of the SIETAREUROPA Congress in Leuven this year. Being on the move was the theme tune of her childhood. Curiosity was always part of her nature – the perfect ingredients for an interculturalist (www.trainingthetrainers.ch). A teacher by training with an MAS in Intercultural Communication and Leadership, Sibylle mainly works in the intercultural aspects of education; currently training people who work in the integration of refugees into the workforce. Salome Schmid (MLaw) and Flore Portmann (BA Philosophy) are founders of the Association la Red, founded in 2015. They were members of the board and took a very active part in the development of la Red until moving away in 2018. In professional life, Salome Schmid worked as a research assistant at the University of Fribourg as part of the NCCR and in the protection of refugee rights in Geneva. 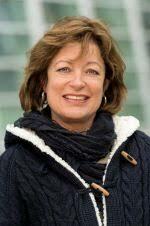 Flore Portmann worked in professional integration of teenagers and as a webpublisher for different companies.